Copernicus Publications recently launched its full-text HTML workflow and optimized the ESurf website for mobile devices. Thereby, the user experience is significantly enhanced when reading ESurf articles. From 1 January 2018 Earth Surface Dynamics (ESurf) will slightly increase the article processing charges. From 1 July 2017 Earth Surface Dynamics (ESurf) will increase the article processing charges. Earth Surface Dynamics (ESurf) introduces reduced article processing charges (APCs) to be paid by the authors (or their institution) for any manuscripts submitted from 1 July 2016. The ESurf editors are delighted to announce that Earth Surface Dynamics (ESurf) has received its first Impact Factor. We have summarized the upcoming changes to ESurf by the end of the year. In cooperation with the TIB|AV-Portal ESurf authors can now add short, citable video abstracts and video supplements to their articles. From January 2016 onwards, ESurf will see changes to the way papers are archived and paid for. Scopus has completed its evaluation of Earth Surface Dynamics (ESurf) and announced that it will include the journal in its database. Videos and animations that belong to discussions or articles published in ESurf and ESurfD are now collected on ESurf's official YouTube channel. Earth Surface Dynamics (ESurf) has received the new DOAJ Seal which recognizes journals with an exceptionally high level of publishing standards and best practice. Thomson Reuters announced that ESurf has been indexed and abstracted in the Science Citation Index Expanded, the Journal Citation Reports and Current Contents/Physical Chemical and Earth Sciences. ESurf will introduce transparent post-discussion review on 01 June 2015: all reports, the authors' response and the different manuscript versions will be published if the paper is accepted. Earth Surface Dynamics (ESurf) has become a member of the Committee on Publication Ethics (COPE) and thereby subscribes to the principles of COPE. The ESurf website has been given a new look, and the navigation has been adjusted. 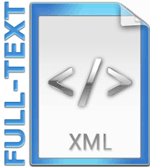 Earth Surface Dynamics (ESurf) has started an XML-first workflow and will provide all new articles in full-text XML from now on. Earth Surface Dynamics (ESurf) is the newest international scientific journal of the European Geosciences Union.